It’s an absolute privilege to be back at The Blues Café Bar in Harrogate on Sunday 10th June. We’ll be playing a one-hour set of both new songs and songs that we played there when the band last performed in this famous venue about 8 or 9 years ago. 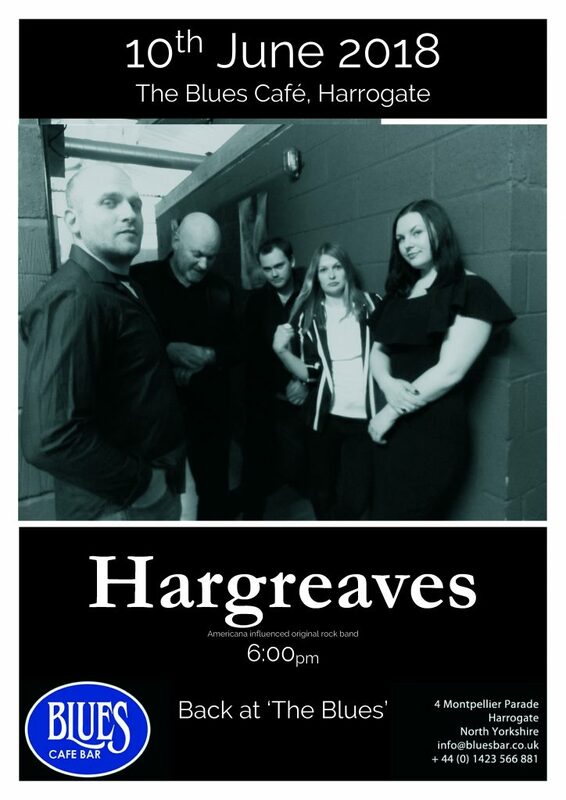 Hagreaves first played in public at the Blues Bar’s excellent ‘Open Mic’ sessions in 2007. So while only one current member (Chris, the band’s co-founder) has played there before, this is like returning to our original home. Hope to see you there at around 6:00pm on Sunday. 10th June, harrogate, the blues bar. Bookmark.